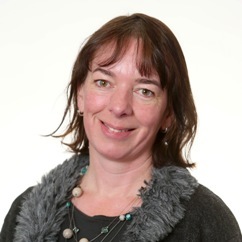 Sue joined Middlesex University as a midwifery lecturer in January 2013. She had previously been living and working in Switzerland where she was a midwifery lecturer at the Berne University of Applied Science and in independent practice attending home births. Invited speaker; The Pain of Labour, a Midwife's Perspective. 29th Myron B. Laver International Postgraduate Course. Department of Anaestesia, University Hospital Basel, February 2009. Invited speaker; My Way to Midwifery,Comparison of Swiss and UK Systems. Czech Midwives on their Way to the EU. Civic Society Active Birth Centre. Praque, October 2003. Gillen, P., Brailey, S., & Luyben, A. (2012) Student Midwives Experiences of Bullying during Training. Swiss Midwifery Association Congress, Schwyz, May 2012. Winner first prize. Brailey, S. (2016) “The Albany Practice, working in partnership with women” In: Reed, R., Birth in Focus, Stories to inform educate and inspire” Pinter and Martin, London. All aspects of normality, informed choice, neonatal resuscitation, home birth, water birth.